How much bandwidth a client needs depends on what they plan on doing with the internet connection. For the most part, more is better, constrained of course by their budget. 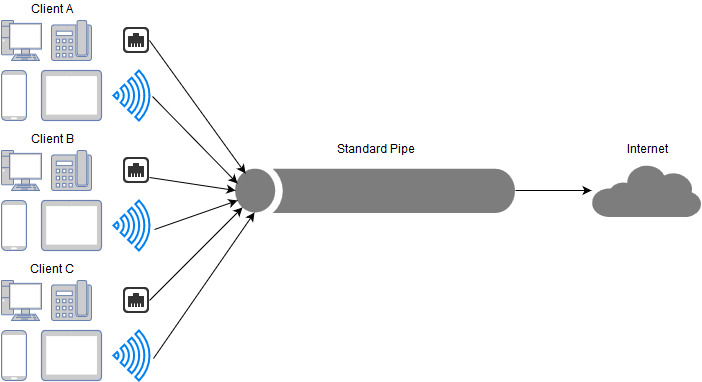 Regardless of whether the client is using a Wired or Wireless connection (or both), the bandwidth allocation will always be set to the pipe they have been allocated to. Please note - whether the client has a wired or wireless connection, both connections use the same bandwidth which that client is allocated to. 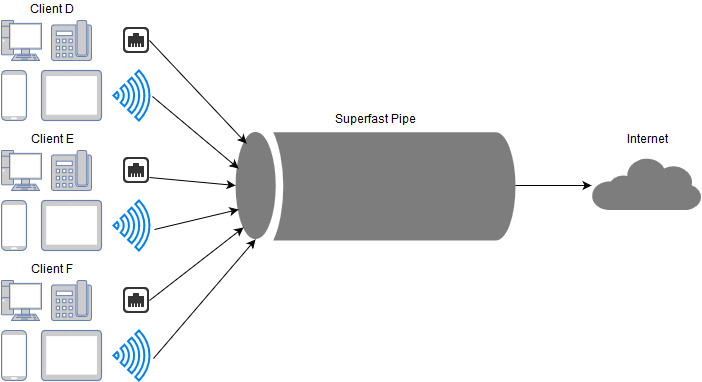 The same rules apply to the Superfast Pipe. The only difference, is that the Superfast Pipe will have a higher Mbps limit than the Standard Pipe, therefore clients on this pipe should receive faster speeds. 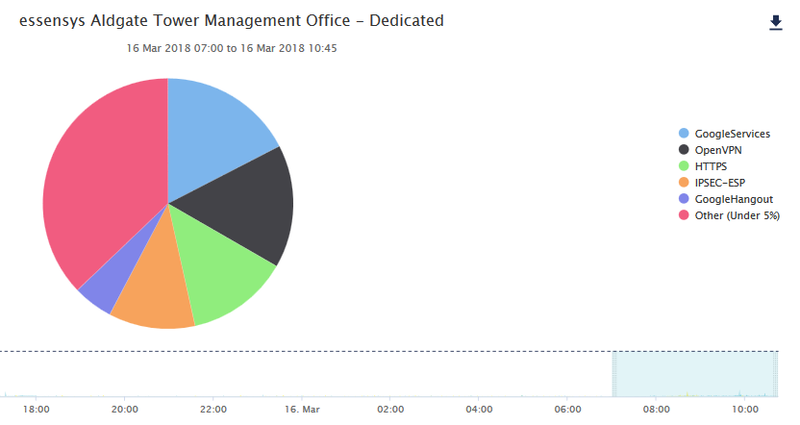 If the client is over utilising their Bandwidth and they have a Public IP, they will need to investigate their usage with their IT Team/Provider. 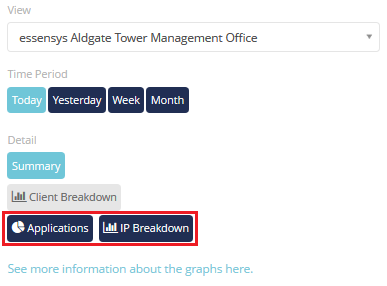 Clients without a Public IP provides information for each user on the network. 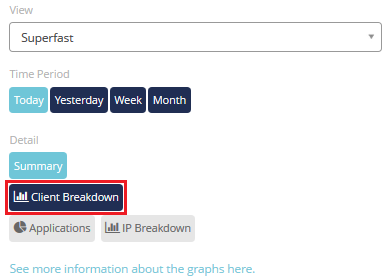 With the example above, the IP address 172.28.3.25 is using the vast majority of the bandwidth within the time frame selected. 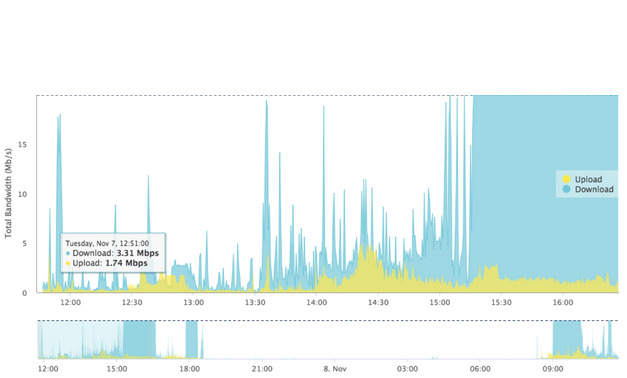 If the client is over utilising their bandwidth, the client will need to investigate the usage for this user.